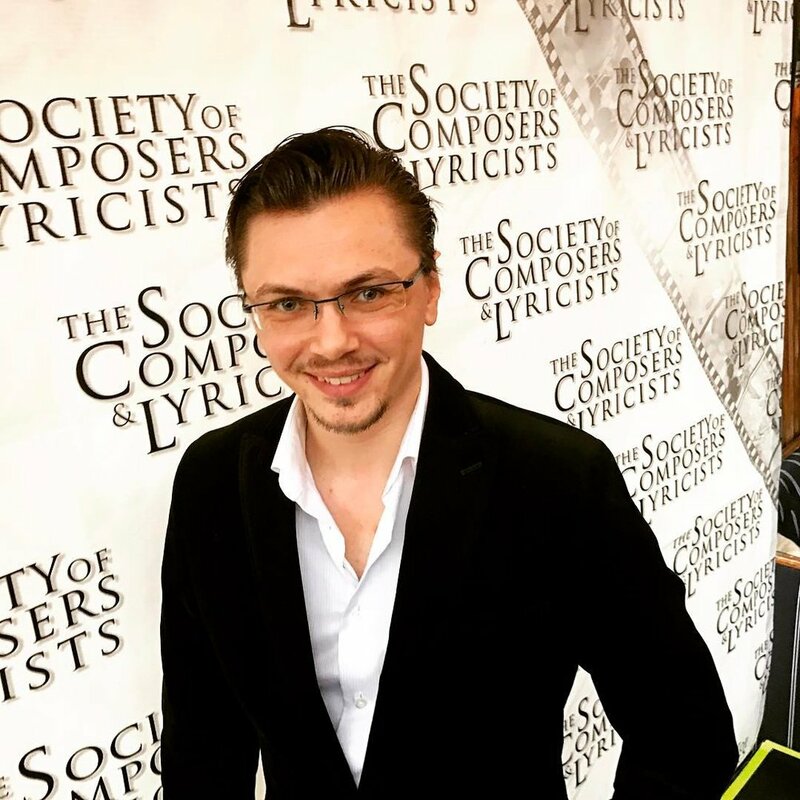 This year, I was once again honored to receive an invitation at the Society of Composers & Lyricists Oscar Reception in West Hollywood, honoring the composers and song writers Nominees of the holy grail of recognition in the entertainment industry: The Oscars. The event reunites for a short evening the cream of the cream from the music creative world. There is so much talent in that room it is often quite overwhelming. But it is also a great opportunity for me to hang out with the wonderful friends and collaborators, past and future, that I have made over the years I have been in Los Angeles. This year was quite inspiring as there were a lot of fresh new talent nominated, people who dared to dream. The event allows us to talk with the nominees and hear there incredible stories and insights on what it took for them to accomplish the work that has lead them to where they are today. The Society of Composers & Lyricists is such a wonderful organization run by incredibly dedicated individuals. We were served champagne, wine and delicious gourmet amuse-bouches. Here with Oscar Nominee Hauschka and my dear friend and luminary singer Christine Hals (Frozen). I had the immense pleasure to work with Christine, who sung on my theme "Call For The Equal Rights" on Patricia Arquette's Documentary Equal Means Equal. My dear friend and Attorney Charley Londoño and his lovely wife. With violinists extraordinaires Bruce Dukov and Pam Gates! If you have been to the movies, you have heard their violin skills performed on every single Hollywood Blockbusters out there. Can't wait to work with the both of them really soon! With composers Ken Jacobsen and Evan Evans. Evan is son of luminary Jazz pianist Bill Evans. Good times. With owner of Umlaut Audio Software Company Anne Juenger, former president of the SCL Dan Foliart, Christine Hals and Ken Jacobsen. With Oscar-nominated and Emmy Award-winning lyricist Dennis Spiegel and former Executive Director of the SCL Laura Dunn. Dennis and I are currently working together on a song project! With TV series "24: Conspiracy" theme composer and dear friend John Massari and his fiancée Aimee Lombard.